Valley Mountain Regional Center (VMRC) - serves children with development disabilities in San Joaquin, Amador, Calaveras and Tuolumne Counties. Women, Infants and Children Food and Nutrition Service (WIC) - provides food, health care referrals and information about nutrition to pregnant, breast- feeding and non-breastfeeding women, and infants and children who qualify. Victor Community Services - delivers mental health and family support services at schools, homes and community in which people live. 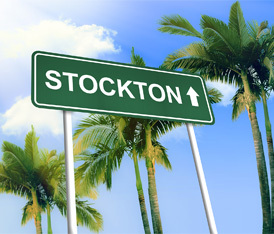 Read to Me Stockton - encourage early childhood reading – free books every month to kids 0-5 yrs old in zip codes 95202, 95205, 95206. 95210. My Baby/Mi Bebe - health education and support groups, free nutritional counseling and classes. Contact Esther Postiglione at (209) 468-8620. American Lung Association- Do you or anybody you know want to stop smoking? Find the resources you need here. www.lung.org/stop-smoking or Call 1-800-NO-Butts. Access the links below to get answers to some of the questions that affect you and your family:.